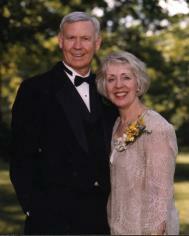 Don is married to Sharon Roberts Broome, daughter of the late Jerry and Helen Lunsford Roberts. Sharon is a graduate of Mars Hill College with a bachelor degree in music. 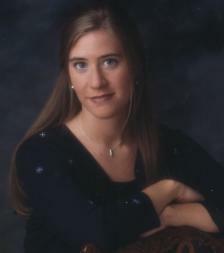 She is currently organist and music assistant at First Baptist Church, Rogersville, TN. They have two daughters, Kristin and Meredith. Kristin Broome Uhde, Ph.D., M.P.H., tropical and infectious disease epidemiologist at the Centers for Disease Control and Prevention, Atlanta, GA. Son-in-law, Jochen Uhde, electrical engineer for SIEMENS. 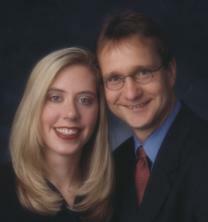 Kristin and Jochen are members of First Baptist Church of Atlanta, GA.
Meredith Broome is a graduate of Carson-Newman College with a Bachelor of Science in Nursing and a graduate of Gupton-Jones College of Funeral Service, Atlanta, GA. Meredith is affiliated with Broome Funeral Home and a Registered nurse at Wellmont Hawkins County Memorial Hospital emergency room, Rogersville. Meredith is a member of First Baptist Church of Rogersville.